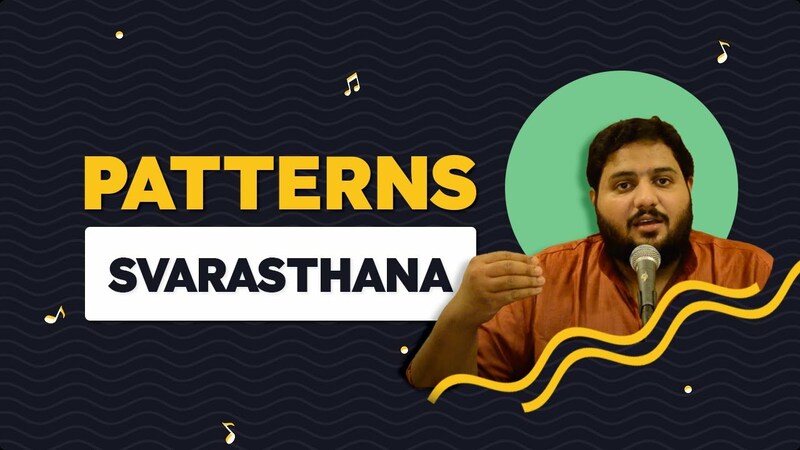 This course “Learn to sing patterns”, comes packed with various exercises of Carnatic singing patterns divided into Sarali, Janta and Dhatu varishais/svaras, along with videos that explain these concepts and their importance. On practising each exercise, the student gets instant feedback to improve from. These exercises help you learn the fundamental abilities that enable you to sing complex melodies later on. Sarali svaras are simple patterns with increasing level of complexity. Janta svaras teach you how to sing doublets of svaras, which incidentally, is also a specific form of gamaka. Dhatu svaras teach you how to make big jumps between svaras. A zigzag pattern of svaras improves your vocal dexterity with svaras. This module brings you few zigzag patterns to get you started on moving briskly and precisely between svaras. This module has advanced sarali svaras that put all the skills you acquired till now to test. Each lesson has intricate movements between svaras that are challenging for a beginner. Take your time and do your best! Janta is a pattern in Carnatic music where each svara is sung twice, ‘hitting’ the repeated svara. In this module we learn the fundamental patterns of svaras appearing in the form of a Janta, in medium speed (Janta patterns are not to be done in slow speed). Practising them in medium speed first is important to improve svara precision. These Janta patterns also teach you breath control, transition accuracy and svara transitions. This module comes with more challenging form of janta svaras that will put to test abilities that you acquired in the previous module. You are expected to spend a lot more time on this module. Datu means skip/zigzag patterns of svaras. The datu svara entails zig zag patterns of svaras focusing mainly on the accuracy in svara transitions between svaras that are farther apart in the octave. This increases vocal dexterity, svara precision, and with practice in higher speeds, it also increases svara transition precision. Hi Ajith, you can pay by going to “Try premium” from the dashboard. Do let us know in case you face any difficulties. Best wishes.